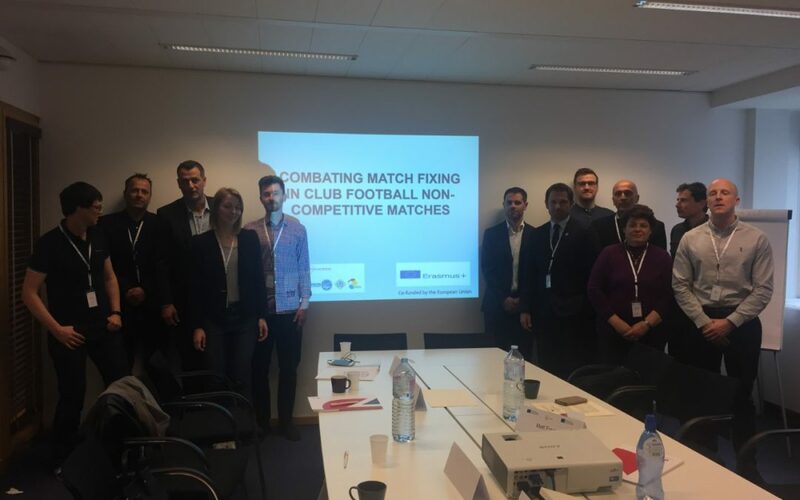 EU Athletes took part in the first steering meeting for the new project coordinated by the University of Nicosia – Combating Match Fixing in Club Football Non-Competitive Matches, at the European Office of Cyprus on Thursday, 28 March. This ongoing project is co-funded by the European Union through the Erasmus+ Program. The project started this year and will conclude in December 2021, aiming to act upon a growing body of evidence of match-fixing in non-competitive matches at the lower level of the professional club game. There is a genuine need for the issue of fixing in non-competitive football matches to be the subject of serious analysis and for solutions in terms of governance reform and educational tools to be developed to combat the problem. The project will address these issues by researching and investigating the level of the problem, developing governance and organizational solutions at a pan-European level and educational tools for key targets, notably players, clubs and national associations. 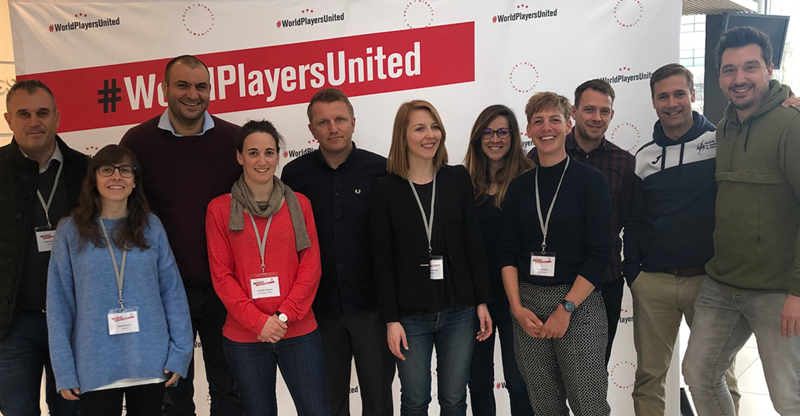 The project will benefit other sports at a pan-European level as the findings and solutions developed for football can have significant areas in common with other sports. EU Athletes, alongside footballers’ unions from Cyprus, Greece and Malta, will provide insight into instances of suspicious approaches of players in non-competitive matches. In addition, EU Athletes will provide support in developing educational tools to warn players and other stakeholders of the dangers posed by match fixers in non-competitive matches. 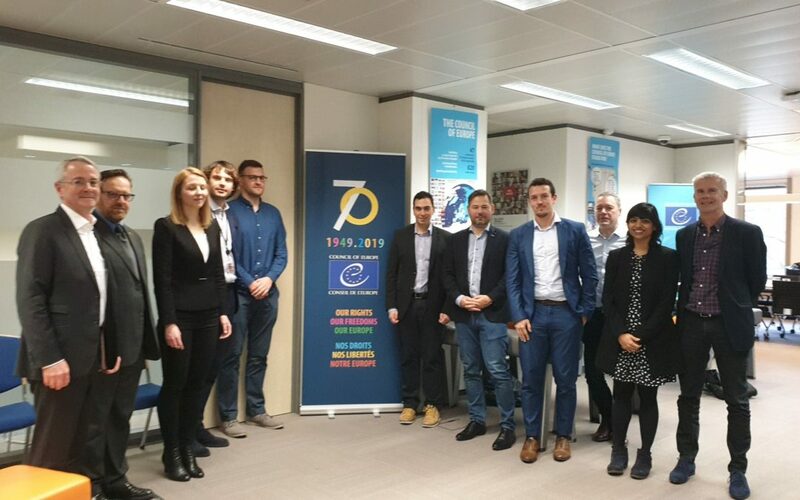 EU Athletes took part in the KCOOS+ 2018-2020, 2nd Advisory meeting of Contributors and Associate Partners hosted by the Council of Europe – Brussels Office on Friday, March 8th. The Keep Crime Out Of Sport- “against manipulations of sports competitions” is a technical assistance project coordinated by the Council of Europe. KCOOS+ builds upon the previous EU-COE joint project KCOOS. Project KCOOS+ explores innovative approaches to combating the manipulation of sports competitions and accompany countries in the development of National Platforms, legislation and co-operation and coordination measures. It is worldwide project, therefore expanding the scope of expertise exchange and technical assistance, which will see the project run until December 2020. 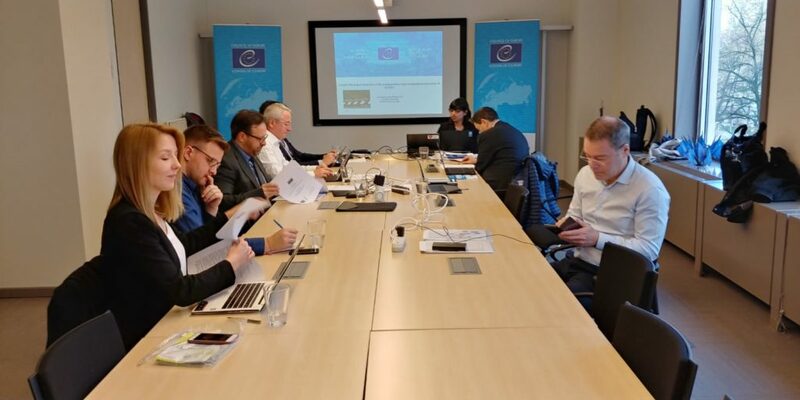 The goal of the 2nd Advisory meeting of Contributors and Associate Partners was to disseminate the overview of 2018 activities, assess relevant associate partners projects that can work in coordination with KCOOS+ and the council of Europe and discuss the next steps to the project for 2019. 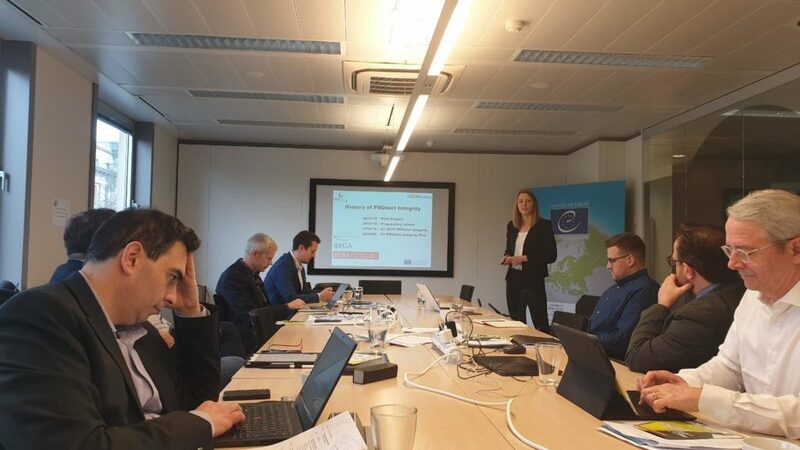 EU Athletes, along with other relevant associate partner projects, presented its’ ongoing PROtect Integrity Plus Erasmus+ project to see where synergies and the possibilities of coordination with the KCOOS+ project could be found. EU Athletes who represents the perspective of professional and elite level sportspeople in Europe, believes that athletes are a part of the solution and their involvement is essential to combating the manipulation of sports competitions. Additionally, in possible coordination with KCOOS+, the PROtect Integrity project can foster national cooperation in a complementary way, coordinate actions and exchange relevant information regarding activities and developments in particular countries. The next stages of the project will continue with expanding the scope of expertise exchange and technical assistance to various countries. 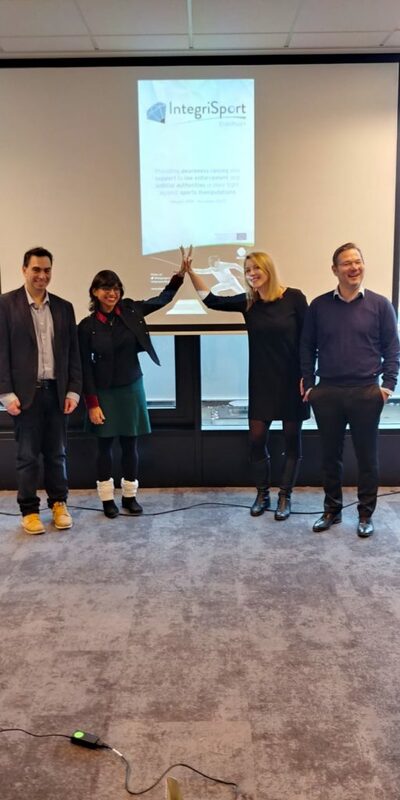 EU Athletes is a partner in the new EU-financed project under ERASMUS+, namely Integrisport ERASMUS+ which has its official launch on 30-31 January 2019 in The Hague, during the project’s first steering committee meeting. The meeting was hosted by The Dutch Ministry of Justice and Security, one of the beneficiary countries of the project and the operational schedule and relevant organisational matters were discussed and decided. IntegriSport Erasmus+ will run from January 2019 until December 2020 and aims to catalyze the efficiency of sport-manipulation-related crime investigation and prosecution activities by providing awareness raising on all aspects of the manipulation of sports competitions in Cyprus, Finland, Hungary, Lithuania, The Netherlands, Portugal and Slovakia. The partnership is completed by: EU Athletes who represents the perspective of professional and elite level sportspeople; GLMS, the sports integrity body of the global lottery sector, which brings its expertise on betting and betting monitoring; and Aix-Marseille University, which has a vital role in research activities. Partner organisations in particular will add credibility to the project by including their network and expertise. 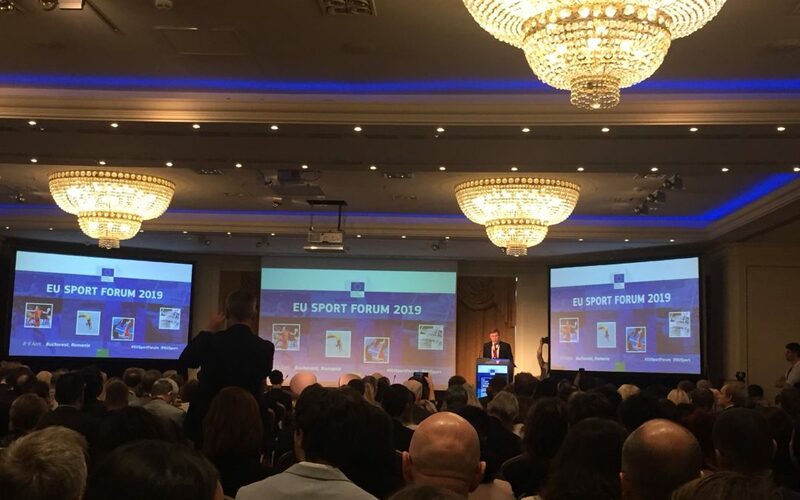 Integrisport Erasmus+ was one of two projects regarding fighting sport manipulation (match fixing) which was funded by the European Union through Erasmus+ Sport in 2018 and is unique in its approach to targeting notably law enforcement and the judiciary. 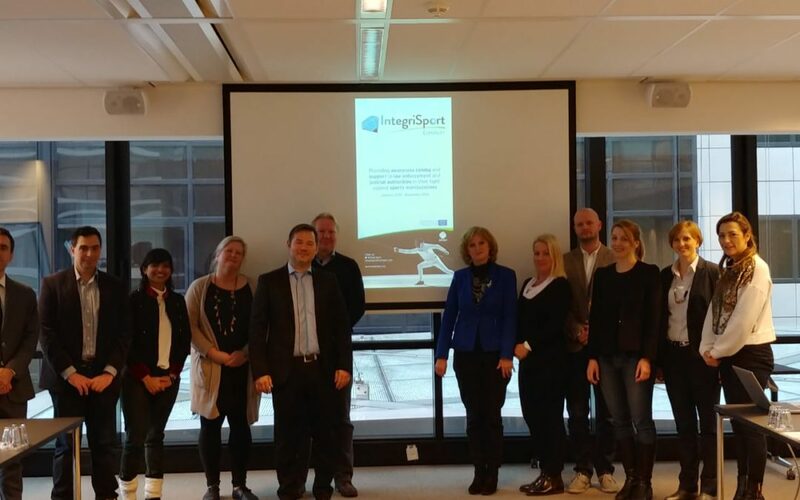 As the Partners of the Project agreed during the meeting, Integrisport Erasmus+ will not only raise the awareness of law enforcement and judicial authorities in the participant countries, but should also establish a standard level of knowledge as a benchmark for law enforcement and the judiciary in the field of tackling sports manipulations. These standards would be able to be used globally henceforth in the fight against criminals in this domain. The Council of Europe, as the organization with the only international, legally binding text in this domain that notably criminalizes manipulations of sports competitions, through its Convention on the Manipulation of Sports Competitions and its concept of national platforms, in which law enforcement and the judiciary would and do participate, welcomed the project and was also present at the meeting. The organisation supports the development of Integrisport through the Macolin Roadmap and creating synergies with the KCOOS+ project. If you interested in the program, please follow us on twitter @integrisport and visit www.integrisport.org or email us: integrisport@cscfsport.com.